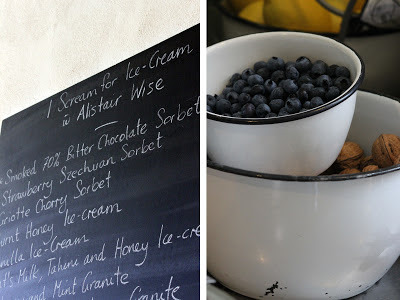 The Drill Hall Emporium: a day at The Agrarian Kitchen making ice cream! 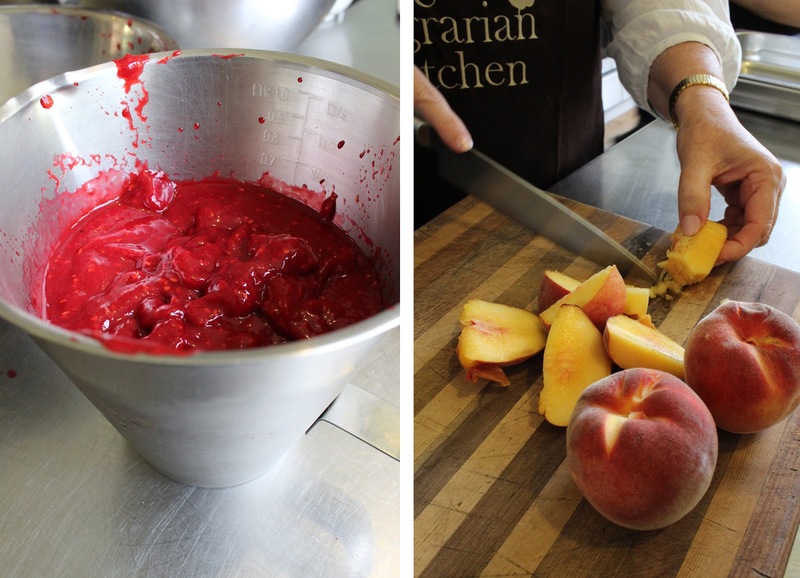 a day at The Agrarian Kitchen making ice cream! 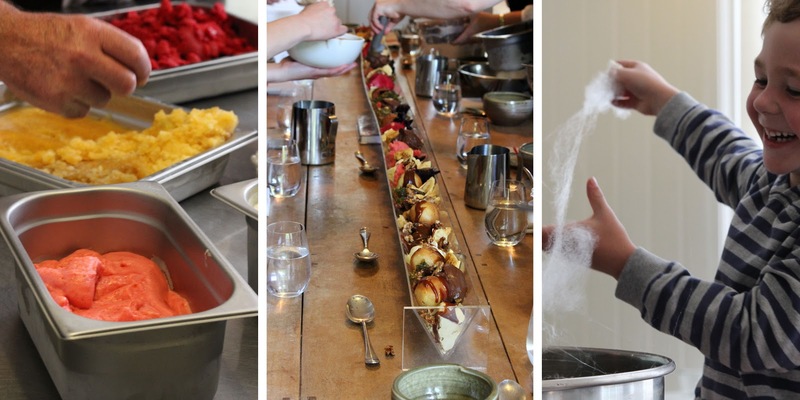 For Christmas I was the lucky recipient of a "I scream for ice cream" cooking class gift voucher at The Agrarian Kitchen. And just this last Sunday I arrived at the Lachlan based cooking school with some fibre in the belly (fairly certain the rest of the day would be a bit of a health write-off) ready for a day of fun. Oh, and some cooking! 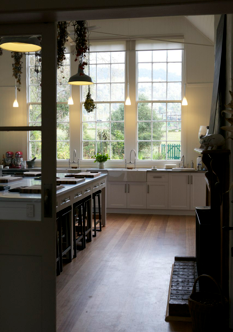 Firstly, I must say I love The Agrarian Kitchen, this is my fourth class in their cooking school and I always feel immediately at home. 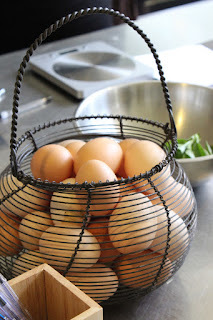 Not only do I find familiar pieces such as this antique French wire egg basket in use around the kitchen, Rodney and Séverine are very welcoming. Guests are greeted with a cup of something hot and a little cake, this day being no exception. Then it was straight down to business. The ice cream class was led by Alistair Wise, ex Gordan Ramsay chef and now the mastermind of Sweet Envy in North Hobart, along with partner Teena. The blackboard was full of all the wonderful ice creams that we were going to make throughout the day. 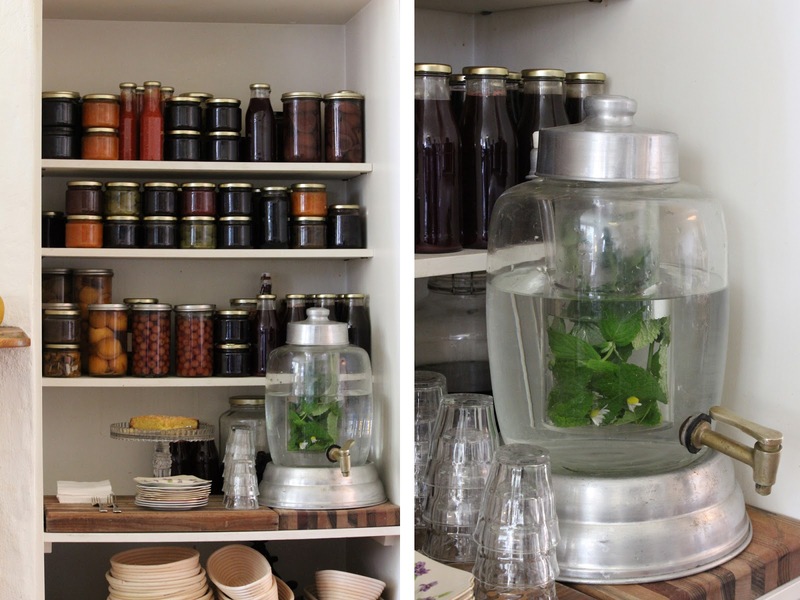 It was only 9.30 in the morning and we were straight into the kitchen with an undeniable sense of purpose. Alistair's enthusiasm and commitment to the sweeter side of life is contagious, I must say. 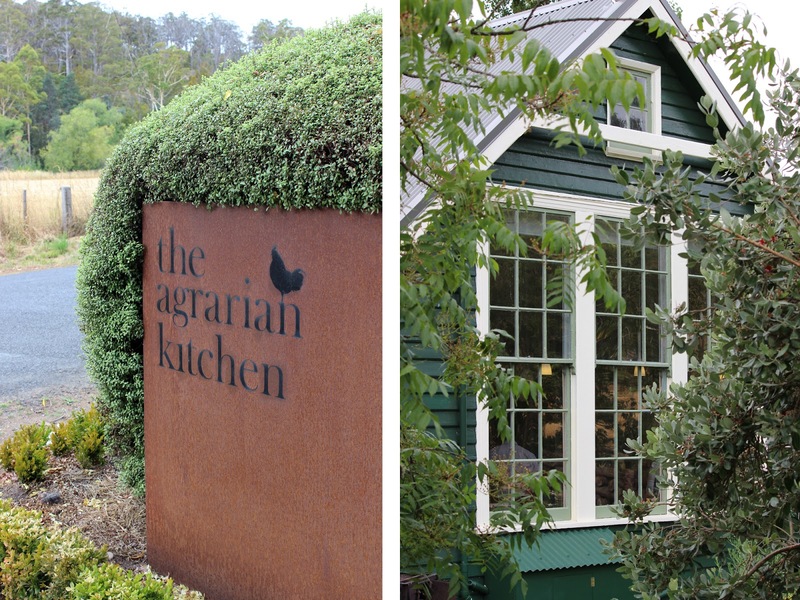 The philosophy behind the Agrarian Kitchen is that most ingredients used for the classes comes from its own land. And as such Rodney went straight out to the garden and within minutes we had fresh fruit to use for the ice cream, parfait, sorbet and granite that we were to make. We also used eggs from the chickens and goats milk for some of the ice cream. 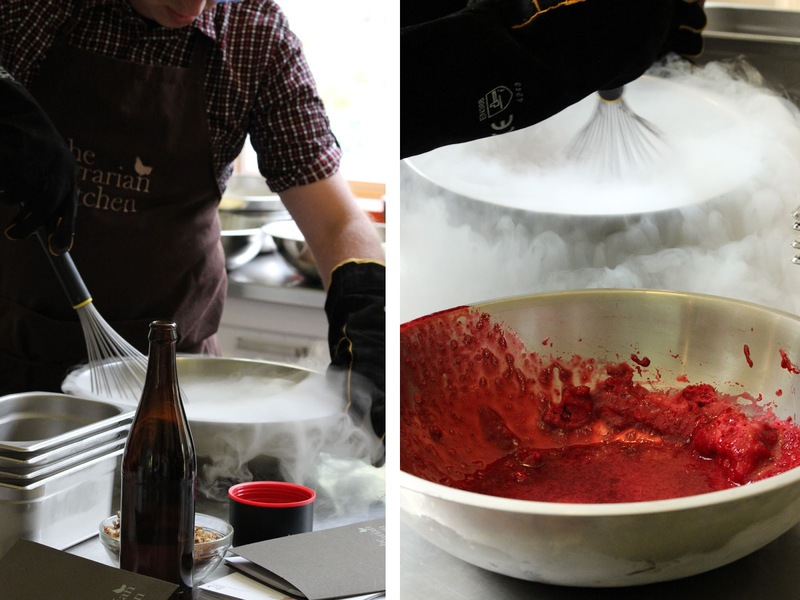 At one point during the day a little bit of science came into play to make the cherry sorbet, liquid nitrogen and a whisk was used to speed up the freezing time. I am not sure if this was showing off by Mr Wise or whether it was a procedure of necessity. I did perhaps notice all the ice cream churners were full of other types of ice cream? Do not try this at home, I think I should say at this point (legal obligations, yawn) as Alistair and Rodney donned protective masks and gloves for safety. It certainly made for a spectacular scene with the vapours spreading out over the work bench! 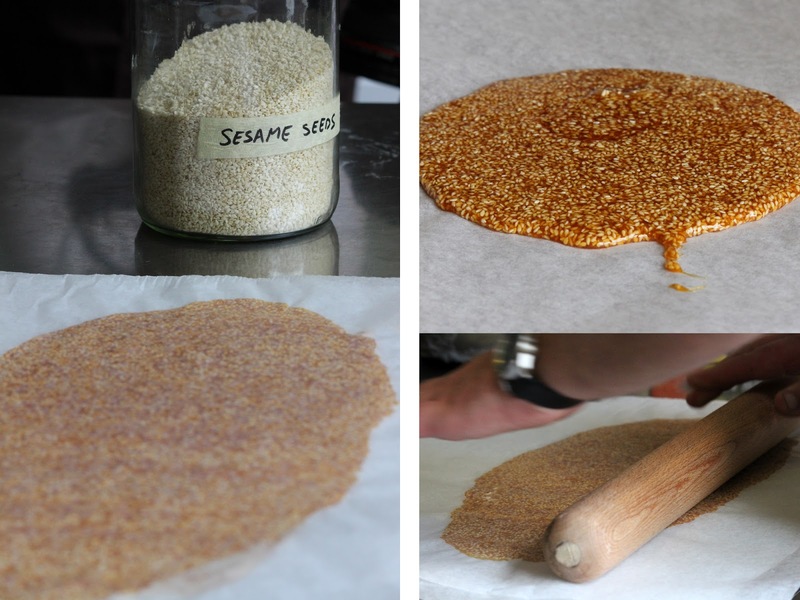 We made sesame praline and a yummy honeycomb, too. The honey was from The Agrarian Kitchen's very own bees. Whilst we were busy making ice cream in the kitchen, Rodney was cooking the lunch for the class. 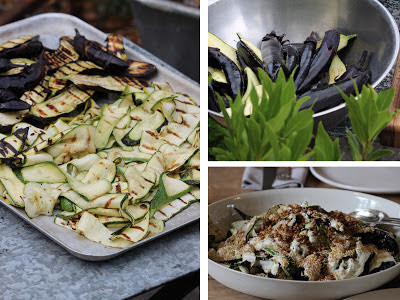 Once again it was a matter of gathering and preparing vegetables from the garden for our feast, along with grilled eye fillet beef and Alistair's own bread straight out of the wood fired oven. I would have been happy with just the bread, it was so delicious! 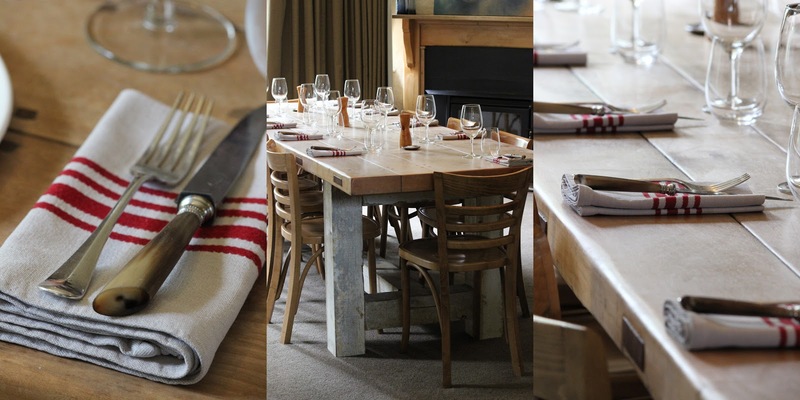 The dining room was set with French napkins and antique cutlery and the chunky sycamore farmhouse table (ex the Drill Hall Emporium, I must proclaim) was perfect for a large gathering. After lunch Alistair had a treat for the class. We were officially introduced to Big Bessie, a 1963 Commer original Mr Whippy. Like, seriously! Of which Alistair's pride is quite evident. You may have seen Big Bessie at the Taste of Tasmania serving soft serve ice cream and sundaes to the masses? Well, we had her all to ourselves this day and she didn't let us down. 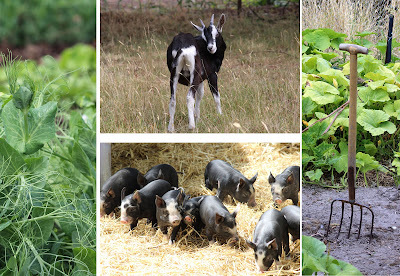 We then took a tour of the farm and gardens to help work off Big Bessie's "Joy's Prickly Box" featuring toffee baked corn flakes and caramel sauce. I was lucky enough to know The Agrarian Kitchen three years ago upon opening and it truly amazes me how much can be achieved in such a short amount of time. Not that I wasn't amazed back then, but the gardens and orchard are flourishing at every turn and the farm is home to 2 litters of piglets (with the grownups), several goats, guinea fowls, chickens...oh, and the bees. Finally, it was back to the kitchen for the final stages of ice cream and condiment preparations. Alistair brought along his fairy floss machine which was so much fun to watch in action, before we were handed large scoops to help prepare the 2.4 metre ice cream sundae which graced the length of the table. Amongst the chaos I could hear Alistair shouting orders as if a commander going to battle, as timing was oh so critical, apparently. It was then a simple matter of digging in, and at 2.4 metres this was one ice cream sundae I didn't mind sharing. This all sounds so very interesting and, perhaps most importantly, great fun! Even we who avoid the kitchen like the plague might well have been 'whipped' up with the enthusiasm of it all. And, what imaginative ice creams you will now be able to offer your guests. An impressive pudding to end every meal from now on! We absolutely love the old ice cream van. How well we remember such vehicles touring the streets in summer laying their merry tunes and attracting small children like the Pied Piper of Hamlin!!! Yes it was heaps of fun, an experience and memories I now have forever. The old ice cream van is a classic indeed, I think this model has a continual play of Greensleeves. What a wonderful gift to receive. On my recent trip to tasmania I visited your beautiful shop and then ventured down the road to peer over the fence of the Agrarian Kitchen. 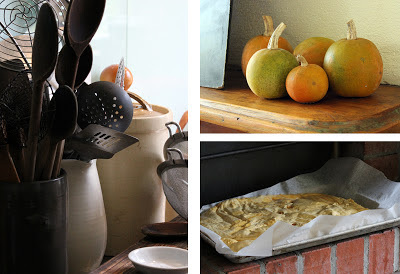 I will dream of my next trip and hopefully some cooking school fun.. Thank you for stopping by. Oh you must do a class next time! 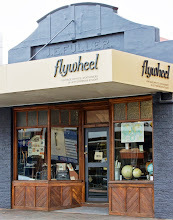 And of course visit our store again, and our new venture, Flywheel. Wow Tammy am I jealous? You bet I am, what a fabulous way to spend a day in gorgeous Tassie.